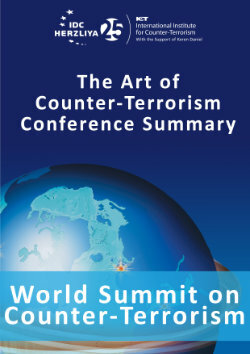 Two Iranian nationals, Ahmad Abolfathi Mohammad and Sayed Mansour Mousavi, were arrested in Nairobi, Kenya, on June 20, 2012. They were in possession of 15 kilos of a substance believed to be bomb-making material and later led police to the recovery of RDX, a powerful explosive, in Mombasa. On the same day, police seized a container in Mombasa originating from Iraq and suspected to be carrying explosives. According to Associated Press, officials in Kenya said that the two Iranian agents planned to attack Israeli, American, British or Saudi Arabian targets inside Kenya. One official said the Iranians are members of Iran's Islamic Revolutionary Guards Corps Quds Force. Interestingly, days after the arrests, the U.S. Embassy in Nairobi has warned of a possible terror attack in Mombasa and asked U.S. government personnel to leave the city until July 1. One of two Iranians accused of planning to carry out the attack declared in court that he was interrogated and tortured by Israeli agents while in detention, a claim denied by the Kenya police. Indeed, during the last two-three years, Iran has made serious efforts to expand its strategic presence and influence in East Africa, especially Kenya, whose government is looking forward for Iranian investments. In 2009, during the visit of President Mahmoud Ahmadinejad to Kenya with a delegation of Iranian businessmen he signed 13 agreements between the two countries. Iran agreed to provide Kenya a $16 billion credit line facility in the area of housing, dam construction, healthcare and “humanitarian assistance.” However, the volume of trade between the two countries has been exceedingly in favor of Iran. Between 2007 and 2009 Iran's volume of trade with Kenya was at 19 billion Kenyan shillings while imports from Kenya were at a low 613 million Kenyan shillings. Mombasa, the second-largest city in Kenya and home to an important Muslim community, seems a preferred target for Iranian activity. In a ceremony attended by top officials of Kenya and Iran in 2011, the Director of the Iranian Port and Maritime Organization (PMO) has stressed “the strategic geographical location of Mombasa port as an easy access to African market.” Iran is setting up a shipping line between the Iranian port of Bandar Abbass and the Kenyan port of Mombasa. The Iranian Red Crescent plans to open a policlinic in Mombasa after the two opened in Nairobi. It seems, however, that Iran is also interested in advancing the Shiite religious presence in Kenya. The Kenyan Shia cleric, Morteza Morteza, said that "the number of Shia Muslims has sharply increased, and a lot of Kenyans became familiar with this honorable school of thought." The Iranian “largesse” should not deceive us. In October 2010, Nigerian officials seized in Lagos' Apapa Port thirteen shipping containers of weapons, including artillery rockets, rifle rounds and arms. Azim Aghajani, an alleged Iranian Revolutionary Guard member, and three Nigerian suspects were put on trial in Nigeria in connection with the seizure of the cargo. The shipment originated in the Iranian port Bandar Abbas and its final destination was Gambia. Senegal has been combating an insurgency in its southern region of Casamance, at its border with Gambia, led by the separatist Movement of Democratic Forces of Casamance (MDFC), a source of tensions between Gambia and Senegal. The Senegalese authorities found evidence that the MFDC were in possession of sophisticated Iranian weapons and in spite of the excellent relations of President Wade with Ahmadinejad, Senegal decided to definitely cut its diplomatic ties with Iran. Iran and Gambia also enjoyed a good diplomatic and economic relationship. In reaction to the weapons shipment, the Gambian government cut diplomatic ties with Iran and asked the Iranian diplomats to leave the country within 48 hours. The Iranian presence and activity in Africa goes beyond the legitimate political, economic, social and cultural levels and creeps into the dangerous area of terrorism and subversion, threatening not only outside actors and interests but the very stability of the host countries. The diplomatic and political crisis resulting from Iran's involvement in the clandestine and illegal shipment of weapons to three West African states, Nigeria, Senegal and Gambia, as well as the foiled terrorist attack in Kenya, are clear examples of this potential threat and should be taken in consideration by other African states where Iran is active. Iran’s political and economic assets in Africa strengthen the Tehran regime, permit it to circumvent UN sanctions and diminish the possibility of UN-backed international diplomatic and economic pressure to convince it to renounce its nuclear project. Thus, indirectly at least, it enhances the threat of Iran’s nuclear hegemonic projection in the Middle East and beyond. 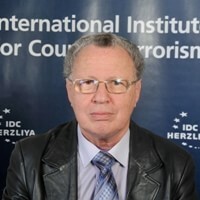 The Iranian terrorist plot in Kenya fits into the Iranian terrorist modus operandi against Israeli interests during January-February 2012 in Georgia, Azerbaijan, Thailand and India and is a bad omen for the future. In the event of Iran’s vital interests – such as the survival of its nuclear project – being threatened by the international community, by the U.S. or by Israel, Africa could be a preferred ground for retaliation, directly or with Hezbollah’s support.